You guys, I'm way behind on sharing. So I'm playing catch up. 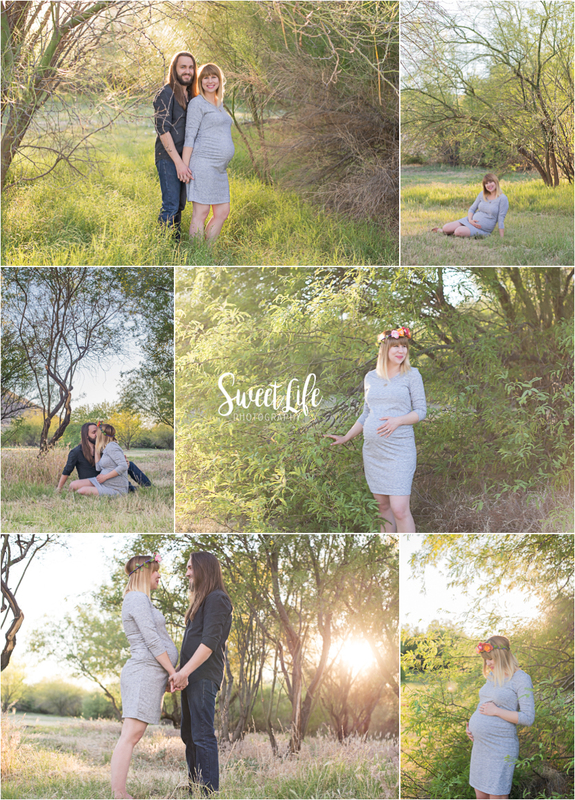 This month marks the one year anniversary (I'm blushing that its been that long) of when I met up with this beautiful couple at one of my favorite outdoor photo locations in North Phoenix. The first thing I picked up on was their hippie/rocker vibe. I knew I would LOVE the photography session with them. Their energy was so peaceful, playful and they were so cute with each other. I felt like an authentic lifestyle photographer (#dreamcometrue). They were totally comfortable being themselves in front of my camera. There is a saying in the lifestyle photography world to never actually tell clients to "just be yourself." I mean, even I am not sure what to do with those lofty directions. But with these two, it didn't even cross my mind. They just doted on each other and giggled about their new baby on the way. Such a delightful experience!